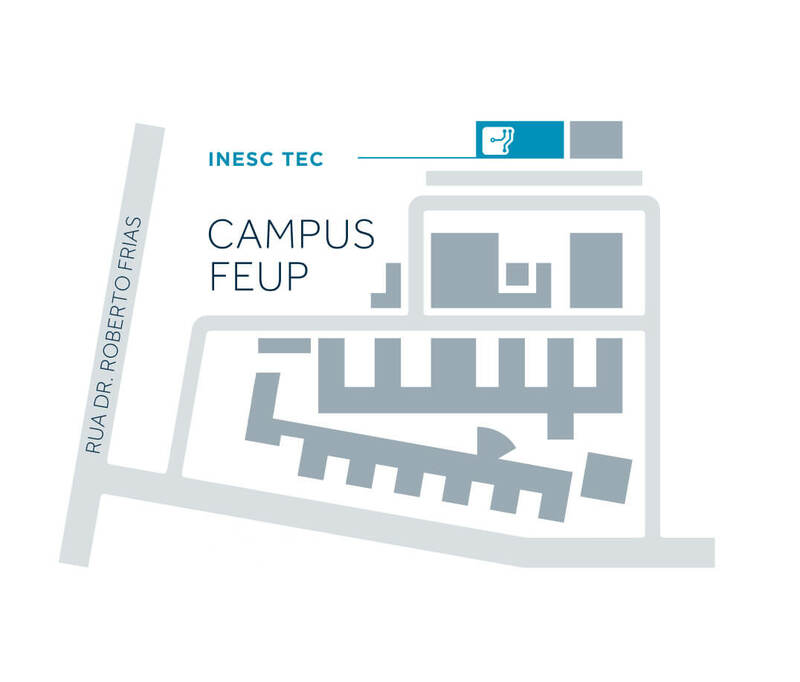 The best way to find INESC TEC is to follow the directions to the S. João Hospital. - You should follow the EN 12 until you see the S. João Hospital on your left. - When you reach the traffic light controlled crossroad near the IPO (Portuguese Institute of Oncology), you should turn left onto the Rua António Bernardino Almeida (António Bernardino Almeida Street); the IPO will be on your right), go straight on until the next exit on the left. Go straight on following the IPATIMUP way (Institute of Molecular Pathology and Immunology of the University of Porto) and then turn left onto the Rua do Dr. Roberto Frias (Dr. Roberto Frias Street). After 500 metres, turn right onto FEUP’s Via Estruturante. - Take the exit to the Via de Cintura Interna (VCI) and follow the signs with directions to the S. João Hospital. Join the EN 12 and follow the directions mentioned above. INESC TEC (headquarters) has three Metro Tube stations close by on the D line (yellow line) in C6 zone. Exit at the station near IPO and go straight on following the Rua do Dr. Plácido da Costa (Dr. Plácido da Costa Street). At the end of this road, cross over onto the Rua do Dr. Roberto Frias and the Faculty of Engineering from the University of Porto will be in front of you. At this link, you can find further information on INESC TEC’s location. You can put your point of departure to obtain directions.